Is your iPhone only stuck on recovery mode? 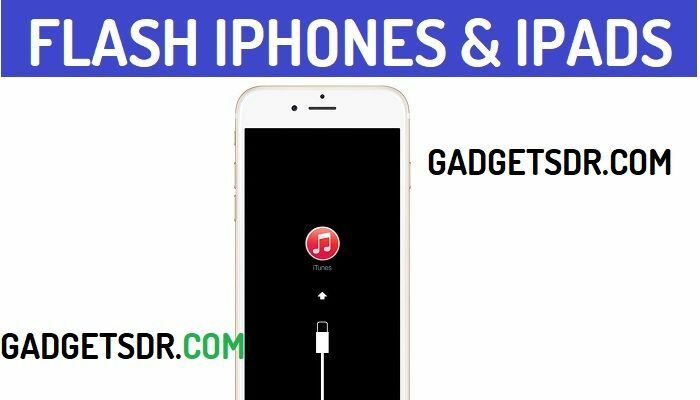 and iTunes doesn’t allow you to fix your device then this guide is only for you, hello guys today we are sharing with you a way to flashing iPhone without using iTunes, we are using a tool called 3utools for iPhones, this tool supports all latest iPhones along with latest iOS. Follow this guide if iTunes shows “Software for this iPhones is not currently available, make sure you have the latest version iTunes”. to flashing iPhone you have to download 3uTools from below. -First of all, download the tool. -After that, install the 3u Tools by double-clicking on setup.exe. -Once installation complete, open the 3u Tools. -Now you have to connect your iPhones here to flashing an iPhone without using iTunes. -Now open the “3u Tools” from there. -Then check the top right corner where you will see the model of your iPhone. Note:- if your device not detected on 3uTools then install the iTunes for installing USB driver of your iPhones download-iTunes here. -After that, go to the “Easy Flash” in 3u Tools. -Now you will see all the available firmware versions of your iPhones. –Then press the “Download” button to download the firmware. Make sure: you have to download the latest version of firmware from there. -Now, wait for the finish to download firmware. -Once finished, then go back to 3u tools “Easy flash” page again. -There you will see the “Flash” button. -Then click the “Flash” button from there. -Now you will see round dialog will appear. Note- While flashing your device, your device rebooting a couple of times. and flashing will take 5-10min to finish. -Once flashing finished, then 3u Tools will show “Clean flash finished“. -Now, set up and verify ownership of your iPhones. -Done, your device successfully flashing an iPhone without using iTunes. Thanks for visiting us, Comment below if you face any problem With flashing an iPhone without using iTunes, we will try to solve your problem as soon as possible. you can check other some tutorial here to help you.